AKULIRA Vision Group Robert Kabushenga afulumya ne Bukedde asabye Omulamuzi Catherine Bamugemereire n’akakiiko kaakulira okubuuliriza ku ttaka ly’ekisaawe ky’e Namboole. Okuva ku kkono: Kominsona Mary Oduka Achan, Robert Kabushenga akulira Vision Group, Omulamuzi Catherine Bamugemereire akulira akakiiko, Barbara Kaija omusunsuzi ow’okuntikko owa New Vision ne Kominsona Rose Nakayi. Abalala kuliko: Bakominsona Robert Ssebunnya, Fredrick Ruhindi, George Bagonza, munnamateeka w’akakiiko Ebert Byenkya ne Daniel Rutiba omumyuka w’Omuwandiisi w’akakiiko. Agambye nti abakulira ekisaawe bategeeza nti abalitunda bagera ku nkomerero ya wiiki nga ofiisi za gavumenti ziggaddewo nga basalako poloti nga batunda. Ekisinga okweraliikiriza n’abakulira ekisaawe tebamanyi kyapa kyakyo gye kiri ekiwa ababba ettaka omwagaanya okulitunda era ekiseera kiyinza okutuuka nga Uganda esigazizzaawo ttaka lyokka okutudde ekisaawe nga bwe baalisibako ekikomera. Kabushenga abyogedde ayaniriza Omulamuzi Bamugemereire n’akakiiko kaakulembera akakyadde ku kitebe kya Vision Group leero ku Lwokusatu. Bamugemereire yeebazizza New Vision ne Bukedde Olupapula ne TV olw’okuwa abantu abatasobola omwagaanya ne batuusa eddoboozi lyabwe eri ensi n’eriwulira. Agambye nti ng’ekiseera ekyaweebwa akakiiko kisemberedde okuggwako, beetegefu okukola lipooti ennonnyola akawonvu n’akagga ku bye bazudde. Kyokka Kabushenga amutegeezezza nti ekisinga okukola obubi kwekubeera nti lipooti bwe zifuluma ne bazikwasa pulezidenti, teziteekebwa mu lujjudde nsi kuzimanya bwe batyo abantu ne basigala nga tebategedde bizuuliddwa. Omulamuzi n’akakiiko baaniriziddwa Kabushenga ng’ali n’Omukung’aanya ow’okuntikko Barbara Kaija. Bakulembeddemu okulambula emirimu egy’enjawulo okuli ekyapa ekikuba empapula, okutuuka mu sityudiyo za Bukedde FaMa, Xfm, Bukedde TV. Bamugemereire agambye nti okuva akakiiko lwe kaatandika bafunye emisango egisoba mu 7,000 ng’ebitundu 50 ku 100 kwegyo giri ku kibba ttaka n’okugobaganya abantu. Bayimirizza okusasula sente za gavumenti eri abantu abakyamu ezisukka mu trillion. Ku bbibiro ly’e Isimba pulezidenti lye yatongozezza wiiki ewedde baayimiria okusasula abantu bbiliyoni 600 abaali bakaayanira enjazi nga kati weziri amazzi gaabikkawo. Bbiliyoni endala 135 waliwo abagezigezi abaafuna ebyapa mu nnyanja e Luzira nazo baayimiriza okubasasula. Bano baabaza ekifo awayita layini y’amasannyalaze egatta Kampala Industrial Park ne Nammanve Industrial Park. Waliwo minsita eyafuna ekyapa mu nnyanja e Masaka kya yiika 365 asasuza abantu okugenda ku nyanja eno. Omu ku bebasanze nga bakaaba kuliko Ssabawolereza wa gavumenti William Byaruhanga naye ettaka baalimutwalako ne bamulekerawo yiika emu akuumirewo enteeze. Ettaka ly’ebibira abagezigezi baalifunako ebyapa baali baagala gavumenti ebasasule bbiliyoni 40 buli omu okuligiddiza kyokka kati ebyapa babisazizzaamu. The technology was used by US telecom operators to provide connectivity to more than 250,000 people in Puerto Rico after a hurricane last year. Kenya hopes the technology can help achieve full Internet coverage of its population. From September, the judiciary had planned to vigorously work through more than 1,000 criminal cases pending in different courts. This valiant effort aimed at cutting back the huge case backlog which stands at 150,000 has been thwarted with the High court’s Criminal division finally announcing that it has been forced to suspend its criminal sessions. The suspension announced in a circular by the deputy registrar of the division, Emmanuel Baguma, on Monday cited the crippling strike by prosecutors in the Directorate of Public Prosecutions (DPP). It is over a month now since prosecutors took off their robes. Prison warders have been taking suspects to court almost daily only for cases to flop. It had become too costly, inhumane and unsustainable. The government, is already under immense pressure as the number of unattended patients keeps climbing up in public hospitals where doctors are into the second week of a similarly stifling industrial action. Baguma’s circular advised prisons authorities not to present criminal suspects for hearings until further notice. Yesterday, Solomon Muyita, the judiciary’s senior communications officer, told The Observer that by the end of year, it had been estimated that the High court circuits would have held about 21 criminal sessions -- which translated into an estimated 840 capital cases to be heard. At the criminal division of the High court which is based in Kampala, the plan was for four criminal sessions to be handled by judges Yasin Nyanzi, Wilson Masalu Musene, Flavia Senoga Anglin and Wilson Kwesiga. Each of the judges was supposed to hear about 40 cases. That carefully crafted plan has been washed down the drain now that the government appears unlikely to make good on its promise to increase salaries of public prosecutors. “We did not communicate explicitly that the criminal session has been suspended but it wasn’t making sense for prisoners to keep on coming to court without their cases being heard,” Muyita said. By the time the judiciary decided to cancel the trial sessions, a high-profile treason case in which Aisha Nakasibante, sister-in-law to the controversial Australian-based cardiologist Dr Aggrey Kiyingi, had, like many others, flopped for the umpteenth time. Until Monday, the judiciary’s position communicated through Principal Judge Yorokamu Bamwine was that all judicial officers would continue handling criminal cases despite the industrial action. Bamwine had instructed judicial officers “to exercise the law and their powers in determining the fate of cases before them”. He cited Article 126(2)e of the Constitution which provides for the delivery of substantive justice to all parties, which he said ought to be taken into account given the current situation. “In a criminal case, the main players; namely, the prosecution, the accused and the victim all deserve justice. Accordingly, the absence of prosecutors calls for heightened exercise of judicial discretion; that is, the exercise of judgement by a judicial officer based on what is fair under the circumstances and guided by the rules and principles of law,” Bamwine said. By the time Baguma issued Monday’s circular, Frank Baine, the Uganda Prisons Service spokesperson, had lamented about how prisoner authorities were wasting fuel to transport suspects to court only for their cases not to be heard. Baine estimated that when he aggregates the consequences of both the prosecutors’ and earlier judicial officers’ (judges and magistrates) strikes, over 10,000 suspects have been denied justice. The Uganda Association of Prosecutors (UAP) resumed their strike in October after the lapse of a 90-day ultimatum given to government to address their grievances. They are demanding a minimum salary for lower-ranking officials to be raised to a least Shs 9 million. 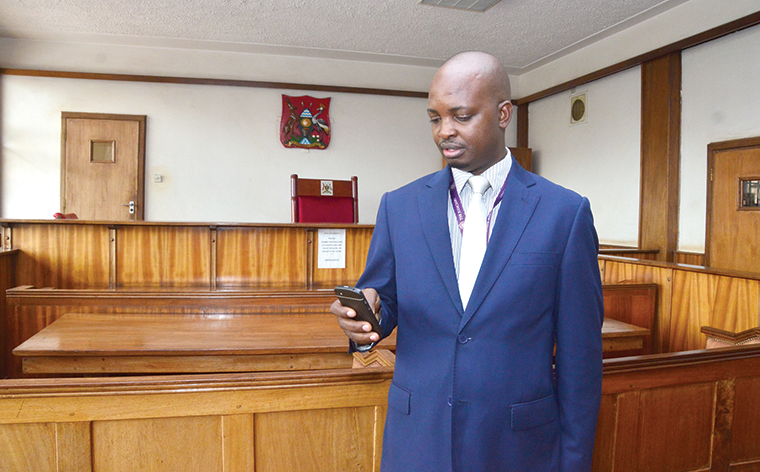 Currently, the lowest-ranking state prosecutor earns a gross salary of Shs 645,000. The government had committed to increase salaries of state prosecutors days after they first laid down their tools in July. In the commitment, Justice and Constitutional Affairs minister Major General Kahinda Otafiire promised that the increment would be effected within three months through a supplementary budget to be passed by parliament. Otafiire’s pledges were not fulfilled, triggering this round of industrial action which has paralysed work in courtrooms around Uganda. Contacted for comment on Tuesday, UAP president David Baxter Bakibinga said “there was no development worthy to be written about”. Uganda Telecom and West Indian Ocean Cable Company (WIOCC) have partnered to offer high speed internet, shaking up a market where data services are increasingly encroaching on the voice market. Officials from the two companies said their new internet service will be cheaper than what is offered on the market. Otaremwa Otuhumurize, the company’s management support officer, said the partnership with WIOCC will assist the company’s drive of widening connectivity and will boost the availability to deliver high-capacity internet. “We will now be able to deliver high-capacity mobile broadband via our microwave radio and fibre optic network infrastructure,” he said during the launch of the initiative in Kampala. The announcement comes at a time when government is trying to turn around the company, which remains under receivership. Government advised all agencies to utilize UTL’s data network to reduce their costs and help the telecom firm back on its feet. Otuhumurize noted that data prices in Uganda are the most expensive compared to other countries in the region, and that through the partnership, UTL will have to cut its prices. WIOCC is jointly owned by 14 major African telecommunication companies, including UTL. UTL owns 9.13 percent of WIOCC. 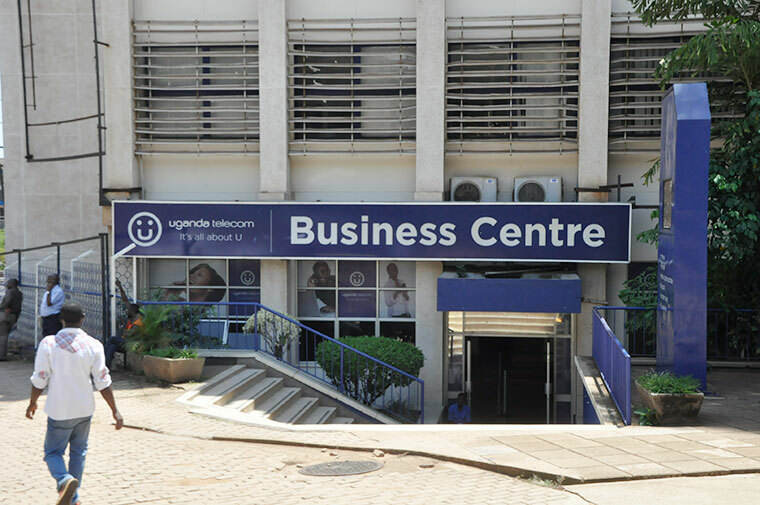 Mustapher Ntale, manager, Liquidation at Uganda Registration Services Bureau, which is in charge of managing UTL, said UTL’s investment in the company (WIOCC) is enabling it to purchase 7.5 gigabits – megabyte-per-second (GBPS) of internet connectivity on competitive commercial terms. “We believe when we purchase internet at good prices, this will allow us to pass on the coefficiencies to our consumers in Uganda. This will also give UTL the ability to implement significant improvements in price, quality and quantity of internet in Uganda,” Ntale said. James Wekesa, WIOCC’s chief commercial officer, said the company provides a range of core wholesale services to carriers, internet service providers, over-the-top-players (OTT) and content providers throughout Africa. “WOICC supports UTL on its transmission backhaul between Mombasa and Kampala. Also, the company provides UTL with quick restoration options through an alternative route in case of interruptions in traffic on its fully redundant operations,” he said. WOICC’s network includes 55,000km of terrestrial infrastructure and also investments in over 60,000km of submarine cable assets. Kampala city dwellers are to start enjoying free internet access beginning tomorrow (Saturday). The ministry of Information, ICT and Communication and the National Information Technology Authority Uganda (NITA U) commence the trial run in Kampala’s central business district and parts of Entebbe. Mr Frank Tumwebaze, the Information, ICT and Communication minister, who announced the development at Media Centre in Kampala, said: “We will be providing free Wi-Fi services between 6pm and 6 am on weekdays, and at the weekends. Wi-Fi will be free from Saturday 3pm through to Monday 6 am.” Mr Tumwebaze added. He said free Wi-Fi services will be offered at the Kampala Capital City Authority Street Carnival on Sunday where revellers will enjoy the service throughout the day. “Internet access is no longer a luxury but a necessity for all Ugandan citizens. The ICT sector must remain at the centre of this countrywide transformation, and steering Uganda to world class efficiency and productivity” Mr Tumwebaze said. He said the roll out of free internet has been made possible because of investment in the National bBckbone Infrastructure (NBI )whose 3rd phase is nearing completion. The minister says rolling out NBI has helped government agencies increase productivity, efficiency and reduced costs of internet bandwidth. “Internet costs have reduced from USD1200 to USD 300 per megabit per second per month in 2010 and 2016 respectively,” Mr Tumwebaze said. Meanwhile, Dr James Saka, the executive director NITA U, said since the service would be shared between government agencies and the public, and the capacity provided will be up to 2 megabits per second. He said there would be restrictions to downloading videos, and access to bad site. More like emphasising a human right that the rich have got to communicate with the poor. NITA-U head James Saaka said that they have seen the benefits of rolling out the National Data Backbone Infrastructure (NBI) in terms of increased productivity, efficiency and reduced costs of internet bandwidth. Saaka said that they have taken steps to ensure that the network is safe. “Because it is shared, everyone will get a maximum of 2 megabytes not for everything. There are restrictions to that internet. You won’t be able to download videos. You won’t have access to those bad sites,”said Saaka. In addition, to acces the free WiFi in Kampala one has to register – phone number, username, email. President Yoweri Museveni’s staffers at State House are in the final stages of procuring technology that could enable the government to break a billion-dollar mushrooming telecom fraud and also eavesdrop on international calls, The Independent reports exclusively. The technology, called an Intelligent Network Monitoring/verification System (INMS), will cost the Ugandan taxpayer between $20-30 million (Shs. 66 billion—99 billion) and is expected to, for the first time, enable the country monitor the volume and billing of voice and data traffic of telecoms. An illustration chart to show how the technical operators work to run down the modern systems of communication. While Uganda has technology capabilities to eavesdrop on local calls, international calls and international communications by-pass fraud have been off its radar. Aware of this, some dubious individuals have skimmed billions of shillings off illegal re-routing on international calls. Individuals seeking to transmit sensitive information have also been using international lines, thereby, minimising risks of local eavesdropping. Insiders say that, for President Museveni, the biggest motivation to procure the INMS technology is its security features; including the eavesdropping capability. This technology will also bring the government closer to knowing how much money exactly telecoms make in their operations. Since telecoms started operating, they have been doing what is called self-declaration to the sector regulator, Uganda Communications Commission (UCC). UCC, for example, collects an annual levy on telecoms gross revenue of 2 percent. The levy constituted 27% of UCC’s projected revenues in the financial year 2014/2015. And UCC is required to remit 1% of the operators’ of this levy to the Consolidated Fund. In the 2015 report published this year, the Auditor General, John Muwanga, added his voice to those that have raised a red flag on the regulator’s reliance on the operators audited financial statements to raise invoices of the 2% levy on the revenue. The Auditor General noted that a review of the revenue collection system revealed that the UCC has not yet built capacity to independently verify the revenue figures reflected in the operators audited financial statements to counter the likelihood of audit risk/ or collusion. “As such, there is a risk of under collecting revenue for the Commission in the circumstance,” the Auditor General’s report said. In his audit, the AG noted that the regulator said that procurement of a traffic monitoring system is on-going and will enable monitoring of telecom traffic and verification of revenues submitted by operators. A month-long investigation by The Independent has learnt that the procurement of the INMS, which is expected to also deal with this, was for years kept off the table because of an intense fight between Uganda’s major procurement brokers over who gets the deal. The process moved recently when President Museveni intervened. Awori, Mbabazi and Kutesa mentioned in story of procurement of telecom state of the art equipment. were backing Nytex, a Belgian company and another Lebanese company. Former Presidential candidate Amama Mbabazi, who was Security Minister in 2006, also got involved at some point and reportedly blocked the procurement saying it had a security dimension. Others claim he had taken the deal off Kutesa’s table. The closest the deal came to getting concluded was under spy-turned businessman, Abu Mukasa. Abu Mukasa used to work for the External Security Organisation (ESO) but with the right god fathers, he became a big time broker. He was at one point an aide de camp to Justice Minister Kahinda Otafiire and later switched camps and got closer to Mbabazi. Mukasa, who had cofounded Hits telecom, which was later sold to Orange, making him Orange’s first Ugandan director, brought a company to procure the technology. The company known as GlobalVoice, was founded by former Haiti President– Laurent Lamothe. Under this company, Mukasa had pitched to run the technology in the arrangement of Build Operate and Transfer (BoT) because the government at the time didn’t readily have the money to procure it. However, the deal went off the table because there are some documents that were missing. Some say it was fought by competitors. That round of procurement collapsed. The Independent could not confirm whether Abu Mukasa was going to use China’s ZTE as the supplier of the technology but we understand that ZTE emerged the best bidder in the last round of procurement. On February 25, 2014, UCC advertised a tender for the procurement under reference No: UCC/ SRVCS/13-14/00389. Eng. Godfrey Mutabazi came with his own pitch of an upgraded capacity system that would cost a staggering $120 million (about Shs400 billion), he told President Museveni. 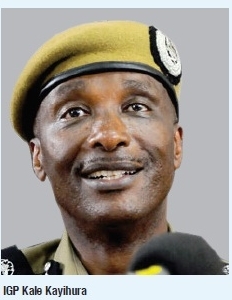 Police chief Kale Kayihura had also offered to have the technology procured under classified expenditure. million but it could be got at even $20 million. This sparked off a fall out between Mutabazi and Museveni. Museveni was enraged that Mutabazi had inflated the cost. As a result, UCC was kicked off the procurement process. With State House sponsorship, Josephine had secured a Phd in Information Science from Loughborough University in the UK. She holds a degree in Electronics and Electrical Engineering, a Masters in Information Technology and some of her papers have published in reputable scientific journals. She previously worked with carmaker Rolls Royce. Details of her terms remain scanty but The Independent can report that she is also being considered as the feature boss of Uganda’s National Oil Company. She was shortlisted among the top four for the job. With Josephine on board, the procurement of the technology, seems to be just a stroke of a pen away. By press time she was outside the country,but The Independent has learnt those involved had zeroed on about four companies and are close to picking a winner. The Independent could not establish the extent of involvement of the Public Procurement and Disposal of Public Assets Authority (PPDA) in vetting this deal. State House often bypasses PPDA legal mandate when engaging in so-called “classified expenditure”. dealing with a telecom fraud known as voice traffic termination fraud or SIM – box fraud, which costs telecom companies revenue and the government taxes. International studies have indicated that network operators lose about 3% of the annual revenue due to fraudulent and illegal services. The biggest operator, MTN, last year suffered a huge decline in profits but still managed to rake in Shs177 billion profit. A 3% loss of that to SIMbox operators amounts to about Shs5.5billion. The Communications Fraud Control Association (CFCA), states that telecoms lose over 15 per cent of their interconnection termination revenue through SIM boxing. Some researchers put the total global losses from the underground mobile network industry to be $58 billion in 2011. If you have ever received a call from a person who says they are abroad yet the number they are using to call you is local, then you have interacted with a SIMbox operation. routed as cheaper local calls. The technology terminates international calls through local phone numbers such as MTN, Warid, UTL, or whatever and make the calls appear as local. Apparently, fraudulent SIMboxes hijack international voice calls and transfer them over the Internet to a cellular device, which injects them back into the cellular network. As a result, the calls become local at the destination local network and the cellular operators of the intermediate and destination networks do not receive payments for the call routing and termination. server. The calls, they explain, are sent through the Internet to a SIM box— that houses ten to 30 illegal SIM cards— which redirects the illegal Voiceover Internet Protocol (VoIP) traffic to mobile networks. The major players in this under – ground telecom business are mainly two—those based in the terminating country and the illegal international carriers from across the border. Besides causing the financial loss, an international study shows that SIM – boxes degrade the local service where they operate. Often, cells are overloaded, and voice calls routed over a SIMbox have poor quality, which results in customer dissatisfaction, the study adds. In Uganda, The Independent has learnt that the kingpins of the fraudulent trade also happen to be major players in the telecom sector, senior officials in cabinet and some Chinese dealers. The Independent, for now, cannot name these individuals for legal reasons. One might wonder why an individual with a stake in a telecom company would want to operate a SIMbox which effectively harms the big company. The answer is simple; SIMbox operators make a lot of money. The SIMboxes , apart from the initial capital injection, there are literally no expenses, no taxes at all since it is an underground business. An owner of a SIMbox can earn up to $10,000 dollars a day (Approx.Shs33 million) from just one simbox, those with knowledge on the dark industry say. That is about US$ 3.6 million a year per SIMbox. Operators usually run several and rake in several million dollars. But as simbox operators make these millions, registered operators and government are the major losers. Simboxing hurts telecoms business of international call termination, which is big business with agreements between telecom companies in millions of dollars. For instance, for a person using a Vodafone line to call an MTN subscriber in Uganda, Vodafone pays part of what it charges the caller to MTN. What simbox operators do is hijack the call before it lands on the MTN servers, bypass MTN servers, and route the call through a local line. Therefore, MTN charges the owner of the line the local rate but the owner of the SIMbox skims off a higher rate for helping convert an international call into a local one. Simbox operators receive their cash on offshore accounts to avoid being traced. 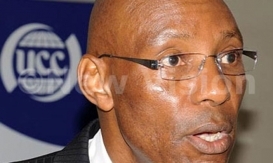 In a March 19 2015 letter, then- Financial Intelligence Authority (FIA) boss, Sydney Asubo, reminded UCC boss Mutabazi of the loss accruing from incoming international telecoms traffic that is disguised as local traffic through Simboxes. At the time, FIA noted it w as investigating revenue diversion and tax evasion in the sector amounting to over US$140 million (over Shs470 billion) in lost revenue in the past three y ears. Apart from the losses to telecom operators and government in tax revenue, President Museveni fears that the untraced billions made by those who own SIMboxes can easily be used by his opponents to cause insecurity or even regime change. Estimates indicated that government loses 45 per cent in tax revenue and regulators like MTN over $10 million a month. Critics of telecom operators say they should have technology capabilities that enable them detect these underground operations since they run on their networks. But the telecom operators are reluctant to incur the additional costs. In some cases, powerful individuals involved in managing the telecom operators either operate or benefit from the operations of SIM boxes. That is why the government alone can step in. The government intervention, however, benefits the Telecom operators who retain the revenue previously leaking through the fraud. They, therefore, pay more in taxes. The SIM boxing telecom fraud is not only a Ugandan problem. Kenya has been involved in a major fight with telecoms, the same applies to Ghana and other African countries. In Kenya, the sector regulator said the country was losing KShs. 3 billion (about UShs. 90 billion) and in Ghana, the annual cost to the country w as also in billions billion. In Tanzania, President John Magufuli recently suspended the head of his nation’s telecoms regulatory body and disbanded its board over weak management and incompetence, which a statement said had cost the country $181.7 million annually. The International Telecommunications Union (ITU), has noted that a single operator cannot deal with the problem. As a result, experts say that a combination of cooperation between the operators to track simbox dealers and tight regulation would go a long way in eliminating the vice. For now, it remains to be seen whether Uganda’s attempt to procure the monitoring technology will succeed and, if it does, whether the government will move beyond its eavesdropping capacity and actually save money from SIMbox fraudsters and undeclared revenue of telecom operators. At least 39 FM radio stations across Uganda face sanctions from Uganda Communications Commission (UCC) for failing to pay operational charges. The commission advised the public not to deal with the said radio stations because “they are currently operating illegally”. The affected radio and TV stations include Apex Promotion (Bugiri), Choice FM (Gulu), Fire FM (Mubende), Kampala FM, Kinkizi FM (Kanungu) and Messiah FM (Kasese). Radio stations pay annual broadcasting fees between Shs 1 million and Shs 3 million depending on their location. The farther it is from Kampala, the lower the amount of money. Television stations, on the other hand, pay a flat Shs 5 million. Both platforms annually pay for spectrum allocation as well as transmission power. Fred Otunnu, the acting director of Broadcasting, recently disclosed that rates are to go up this year to match inflation and other industry demands. For example, the charge for new application for a radio station will increase from Shs 5 million to Shs 15 million. Kin Karisa, the chairman of the National Association of Broadcasters (NAB), noted that the broadcasting industry is struggling. At the year, the telecom industry in Uganda was optimistic of better returns. However, their expectations didn’t come to fruition. For instance, the introduction of One Network Area by Kenya, Uganda, Rwanda and South Sudan saw leading telecoms – MTN, Airtel, Africell, Smile, Smart, and UTL- register declines in profits. Last August, MTN said in spite of gaining a 7.2% increase in subscribers to 11.1 million during the half year performance, it was hit by a 12.8% decline in incoming voice revenue as a result of the One Network Area, leading to mere 2.6 % growth in total revenue. Additionally, revenues could be less than expected as government’s directive to switch off unregistered subscribers also weighs down on the industry, forcing them to deactivate more than 300,000 subscribers for failing to register their SIM cards by Nov.30. In October, Nigerian Communications Commission (NCC) slapped MTN Nigeria with a $5.2 billion fine - one of the heaviest to be made on an African telco - for failing to disconnect 5.1 million unregistered subscribers. After negotiations, Africa’s largest telecommunication company, succeeded in its bid to reduce the fine to slightly over $3.4 billion, and led to the resignation of its Nigerian boss. UTL and Africell appear to have experienced the roughest ride. Early this year, UCC, the regulator, gave UTL 60 days to to show cause why it should continue holding a licence given its financial condition. On the other hand, reports indicated that in all the five years Orange operated in Uganda to 2014, it never posted a profit, with the worst being 2010 when it plunged Shs 143 billion into the red. By 2013, Orange’s debt obligations to its shareholders slightly surpassed the capital injection. And, to save the industry from the declining revenues, MTN, Africell, and Airtel introduced a range of austerity measures through restructuring and re-aligning their business operations. In March, Africell caused an uproar when it terminated 60 employee contracts. The restructuring came barely a year after Africell acquired Orange Uganda in May 2014. MTN Uganda decided to hire ZTE, a Chinese company, to handle its networking operations, leaving more than 140 company‘s technical employees uncertain of their future employment. Airtel decided to re-align its business operations in sales and distribution departments to increase productivity and efficiency. Kattikiro wa Buganda akwanyiza bamusiga nsimbi be China bazimbire Buganda amayumba Agobusuubuzi. Okuzimba amayumba gano kugenda kutandikira e Sentema mu Ssaza lye Busiro. Batuuka mu February 2016.
nga balambuzibwa emirimu egy’enjawulo e China. 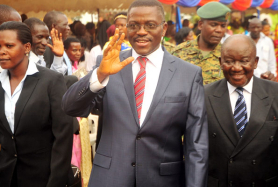 KATIKKIRO Charles Peter Mayiga akomyewo e China n’ategeeza nti olugendo lwe yagendako okusakira Obuganda bamusigansimbi okujja kuno okukola pulojekiti ez’enjawulo, Abachina bwe bakkirizza okuyungula ekibinja ky’abasuubuzi okujja mu Buganda mu February 2016. Mu lugendo lwe yatandika nga December 5 yakulemberamu ekibinja omwabadde omuwanika wa Buganda, Robert Waggwa Nsibirwa, Minisita w’ebyettaka, Ying. Martin Kasekende, Roland Sebuwufu akulira BICUL- ekitongole ky’Obwakabaka ekivunaanyizibwa ku kusikiriza bamusigansimbi, akulira Buganda Land Board- Kyewalabye Male n’akulira ekitongole ky’abagenyi e Mmengo, David Ntege. Ekibinja kino kyasisinkana n’abakulira kkampuni ya Henan Gouji Group nga bano be baazimba amayumba ag’ebbeeyi ku ttaka ly’Obwakabaka e Kigo nga baasooka kutegeeragana okuzimba ku yiika 70 kyokka oluvannyuma lw’enteeseganya, pulojekiti eno egenda kugaziyizibwa okutuuka ku yiika 200. Sebuwufu agamba nti, “Ettaka ly’e Kigo liweza yiika 257 kyokka nga yiika 200 kwe kugenda okuzimbibwa ekibuga eky’omulembe omuli buli kimu kyokka enju zino z’abo abalina ku nsimbi kuba enju emu eri ku mitwalo 20 egya ddoola. Henan Gouji Group bakkirizza okujja mu Uganda okwetegereza ebifo we bayinza okuzimba enju eza bamufunampola nga Sebuwufu agamba nti zeezo ezitasussa bukadde 100 eza Uganda. Ku nsimbi ezo nga kuliko n’ezigula ettaka n’olwekyo agenda kubeera afuna enju ewedde n’ekirungi ekirala ng’asobola okugifuna ku kibanjampola kuba ne Housing Finance Bank yavuddeyo okukwatagana naffe mu nteekateeka eno.” Pulojekiti y’amayumba ag’ensimbi entono yaakuteekebwa Sentema mu ssaza ly’e Busiro ku yiika 204. Ku Lwokusatu nga December 9, 2015, Mayiga yasisinkanye Minisita w’enkulaakulana n’obusuubuzi owa China, Wang Feng ne bakkiriziganya okusindika ekibinja ky’abasuubuzi okulaba engeri gye bayinza okuteeka ensimbi mu bulimi n’obulambuzi mu Buganda. Nga July 27,2015 Kabaka Ronald Mutebi II yatongoza pulojekiti y’amayumba agazimbwa Abachina ku ttaka ly’Obwakabaka e Kigo kyokka abantu ne basaba wabeewo enteekateeka y’okuzimba amayumba ag’ensimbi entono, Mayiga n’ategeeza nti baakwongera okunoonya ab’emikago okutumbula enkulaakulana mu Bwakabaka. Kituufu Abaganda bangi balina ebibanja namayumba mwebasula nebiyigo byabwe. Okuzimba enyumba endala ekirindi kuba kuzimbira bapangisa nabasuubuzi abamawanga amalala abajja e Buganda okunonya emirimu n'ensimbi. Uganda Govt stops licencing digital TV stations. One understands they want to control the TV broadcasting content. The Uganda Communications Commission has announced a move away from licensing new television stations to licensing television content developers. Speaking at the ICT sector review meeting on Tuesday, Mr Patrick Mwesigwa, the deputy director UCC, said the commission has abolished issuing licences because with digital migration, one no longer requires to set up private masts for television signals but just needs a studio to generate the content which is sent to Signet which allocates the channel for it to be aired out. “This is the reason why we created Signet. It is now cheaper to run a television station because you do not need to install masts everywhere all you need is to generate the content and we shall allocate a channel,” he said. In June, Uganda joined the rest of the world and switched television broadcasting from analogue to digital broadcasting for better quality, sound and pictures. 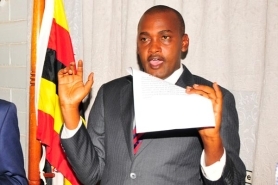 However, much as Uganda beat the global deadline, the commission is now grappling with generation of local content for television programming because of few developers, Mr Mwesigwa said. Speaking at the same event, Mr Pat Samanya, the Ministry of ICT Permanent Secretary, said the government is planning to equip private schools with computer laboratories so as to increase ICT literacy using the rural communications fund. The massive excitement accompanying last week’s court ruling directing the Uganda Communications Commission (UCC) to immediately revert to analogue TV transmission turned into fodder for conversation. In the taxi, the driver and his conductor chanted about how this would give them opportunity to watch free television again. At my usual diner, I heard one gentleman narrate to the waitresses and his company that the court decision was an order to government to stop forcing them (TV users) from buying decoders from Gotv to access TV. Last Thursday, Grade One Magistrate Moses Ntende Kagoda of the Mengo Chief Magistrates Court issued an interim order to UCC to switch back to analogue transmission until the main application filed by city lawyer Enoth Mugabi, is determined. Mr Mugabi claimed he decided to go to court after he was aggrieved by UCC’s move to migrate from the old analogue way of signal transmission to digital and yet he freely enjoyed the old signal transmission, unlike digital signal transmission that requires one to pay a monthly subscription. UCC, however, challenged the decision and was overturned this week on Tuesday. Prior to this, there was a sense of reprieve among the public and some TV broadcasters immediately reverted to analogue transmission. The list of opinions held by the wider public, notably those who went back home on June 15, when the switch off was piloted, to the displeasure of blank screens, is endless. Almost a month since phase I of the digital switch off was effected, more questions are still being asked. The National Association of Broadcasters (NAB)/content providers contend that slightly more than 10,000 Free to Air boxes have been sold to date, while another 10,000 boxes are still in stock. “In total, this would come to 20,000 boxes, assuming on switch off, all the 10,000 boxes in stock are bought. As per the latest survey from different research firms, Uganda has about 3.2 million TV sets. 20,000 boxes translate to a very limited number of TV viewers, who will have migrated by the switch off date,” the NAB chairman Kin Karisa, noted recently in a letter to the Speaker of Parliament. Several other TV users Saturday Monitor talked to raised questions of the cost of free-to-air set top boxes that UCC is advocating. Although some appreciate the picture and sound quality, they say the content broadcasted is still old-fashioned. The bottom line TV users point out is that they stand to lose out because UCC and TV broadcasters/content providers also do not know what to do. The concerns raised come in the wake of preparations afoot to launch phase II of digital migration. Sam Batanda, the head of Signet, an affiliate body of Uganda Broadcasting Cooperation (UBC) in charge of digital transmission, says phase II will commence on July 31, which will complete migration in areas such as Entebbe, but largely will cover Arua, Kisoro, Mbarara, Mbale, Masaka and Masindi. According to UCC, 60 per cent of the television viewers are within the Kampala Metropolitan area in the radius of 60km from the main transmission centre at Kololo. These were switched off in phase I.
Fred Otunnu, the acting director of broadcasting at UCC, told Saturday Monitor their strategy now is to intensify awareness campaigns in phase II. This, he says, will start next week and will include roadshows and radio awareness to demonstrate because the phase mostly covers rural areas. In the public court of opinion, majority still maintain the view Uganda was not prepared for digital migration. They wanted the process delayed as did other African countries, Egypt, Morocco, and Tunisia, Algeria have done so. They pushed their deadlines to 2020 to allow for more groundwork. Other East African countries, including Kenya, Tanzania and Rwanda have already migrated. Tanzania effected digital terrestrial broadcasting in the early 1990s. Phase III, covering Jinja, Ntungamo, Rubirizi, Fortportal, Gulu, Kiboga, Lira. Kabale and Soroti, will take effect on August 30. June 17 was the international deadline for all the 198-member nations of the International Telecommunications Union (ITU). Meeting on June 16, 2006 for the Regional Radio communication Conference in Geneva, Switzerland, member states, including Uganda, set themselves this target to transit from analogue to digital technology. ITU is the United Nations agency that allocates radio spectrum and satellite orbits. Digital Migration or ‘switch over’ is the name given to the process of changing from analogue terrestrial television, currently used widely, television broadcast services are transmitted on the VHF (Band III) and UHF band (Bands IV and V). Migration means switching to digital terrestrial television (DTT), where signals are carried on a multiplex, which can carry a number of channels in the same frequency, unlike analogue where frequencies are dichotomised. DTT, according to ITU, means better picture and sound quality, and has potential to increase the amount and variety of television content. ITU, on its website, says digital migration helps free up the electromagnetic spectrum, which needs to be allocated for other services. Ideally, digital broadcasting is intended to give television consumers more content, choice and better quality service, but instead has increased complaints to the regulator to take necessary action against providers who do not meet standards. Content providers on the other hand are jittery about the cost of set top boxes and their shortage in the country. Shortage of set top boxes, especially the free-to-air decoders, means television viewership is affected. A pay TV set top box costs around Shs50,000, but consumers have to subscribe to access more content. A free-to-air set top box costs between Shs150,000 to Shs180,000. Against the 3.2 million TV sets in the country, content providers say currently, there is slightly above 20,000 set top boxes in the country, which affects TV viewership. UCC recently approved 16 distributors of free-to-air set top boxes across the country. Mr Otunnu told this newspaper, however, they have also allowed private broadcasters to import free-to-air set top boxes, which will be sold cheaply. For phase II, Mr Otunnu, since its covering rural areas, says they are more emphatic on free-to-air terrestrial broadcasting, where consumers can access “free tv”—notably the 24 local channels broadcasting in the country. Richard Kimera of the Consumer Education Trust (CONSET), an NGO which works on consumer awareness, says the problems facing Uganda’s digital switch are misinformation and opposition. Analogue. Analogue TV broadcasting transmits sound and picture through airwaves. Each TV station then gets a license for a single frequency that can only carry one channel. This transmission is therefore limited in signal space, spectrum and frequency, leading to poor quality of sound and picture if frequencies are interfered with. Digital terrestrial television (DTT). Here, signals are carried on a multiplex, which can carry many television channels in the same frequency channel as one analogue television service. DTT takes two standards, including digital satellite broadcasting, which requires use of a satellite dish to capture data transmissions from long distances, offered by service providers such as MultiChoice’s DStv and Azam TV, and Digital Terrestrial Broadcasting - provided by pay-TV players and free-to-air set top boxes. Digital Migration. With digital migration, TV broadcasters/content providers relinquished the responsibility of transmitting their own signals. Signet picks up signals from each of the TV stations and transmits them to a wider spectrum. Since digital broadcasting take less bandwidth, UCC says it is likely to increase the number of TV channels in the country. This will create room for frequencies for radio, which is already used up. A licence for transmission of a programme/channel around Kampala costs about $4,000 (about Shs13m) and $2500 (about Shs8m) to up country. Sam Batanda, the head of Signet, an affiliate body of Uganda Broadcasting Cooperation (UBC), in charge of digital transmission, says works on seven sites up country to aid signal distribution are in advanced stages. These include satellite stations in Masaka, Hoima, Mbarara, Mbale, Masindi, and further works on the Kololo mast. This is expected to cost about Shs26 billion. Sites to come on board by August include Lira, Kiboga, Ntungamo, Rukungiri, Rubirizi, Soroti, Gulu and Kabale. Workers at Fine Spinners Uganda, formerly AGOA factory, in Bugolobi, Kampala, recently. The US Congress has renewed the African Growth and Opportunity Act (Agoa), which was due to expire on September 30, 2015. Over the past 15 years, Agoa, which allows made-in-Africa goods to sail into the US duty-free, has enjoyed broad bipartisan support in the US, serving as the cornerstone of the ongoing US economic partnership with Africa. Uganda is one of the 38 African countries eligible for tariff- free and quota-free access into the US market for more than 6,400 products under Agoa. The senior presidential adviser on Agoa and trade, Ms Susan Muhwezi, described the development as good news for Uganda and sub-Saharan Africa. “Uganda needs to truly exploit this opportunity of ‘Trade not Aid’ that President Museveni passionately lobbied for,” Ms Muhwezi said. The Ugandan deputy Chief of Mission in Washington, Mr Alfred Nnam, challenged Uganda to take the offer as their last chance with Agoa. “After the re-authorisation of the Agoa, the major challenge for our country is how we position ourselves to benefit from it, especially that this may be the last time the unilateral trade preference is renewed void of the requirement for reciprocity,” he said. Clauses in the renewed Act already point towards the need for a free trade agreement, preferably under a regional arrangement. When the act was signed into law in May 2000 by then US President Bill Clinton, Uganda was tipped to reap big but many challenges have left little to show in the 15 years of Agoa in Uganda. Ms Muhwezi asked the government to give the initiative more support and investors to maximally utilise the opportunity. “The Agoa initiative was not maximally utilised because of its short life span as investors were not thinking on long term,” she said. Trade between Africa and the US has more than tripled since Agoa’s enactment in 2000, and US direct investment in Africa has grown nearly six-fold. According to the Guardian newspaper, last year, Uganda’s exports to the US were worth $47m, up from $34.8m in 2003. Uganda’s top exports to the US included spices, tea, fish, crafts, and live trees. Agoa has also contributed to the creation of more than one million jobs in sub-Saharan Africa and more than 100,000 American jobs. Ever since the discovery of Pluto in 1930, kids grew up learning about the nine planets of our solar system. That all changed starting in the late 1990s, when astronomers began to argue about whether Pluto was a planet. In a highly controversial decision, the International Astronomical Union ultimately decided in 2006 to call Pluto a “dwarf planet,” reducing the list of “real planets” in our solar system to eight. However, astronomers are now hunting for another planet in our solar system, a true ninth planet, after evidence of its existence was unveiled on Jan. 20, 2016. The so-called "Planet Nine," as scientists are calling it, is about 10 times the mass of Earth and 5,000 times the mass of Pluto. In June last year, Uganda Communications Commission (UCC) switched off analogue TV to launch the digital migration process. This required everyone in Kampala and areas within a 60km radius to acquire a decoder to access TV signals. Mr Mutabazi The UCC executive director. According to the inaugural digital migration survey in the central region shows that only 8% of households with decoders are using the free to air decoders. The survey that was carried out in the three districts of Kampala Wakiso and Mukono by Ipsos, a global market research body, indicates that for most of the free to air decoders were found in the peri-urban areas. This trend was attributed to the low income levels in these areas. According to the findings, areas of Mukono registered a relatively higher distribution at 7%, followed by Wakiso at 6% and Kampala at 3%. 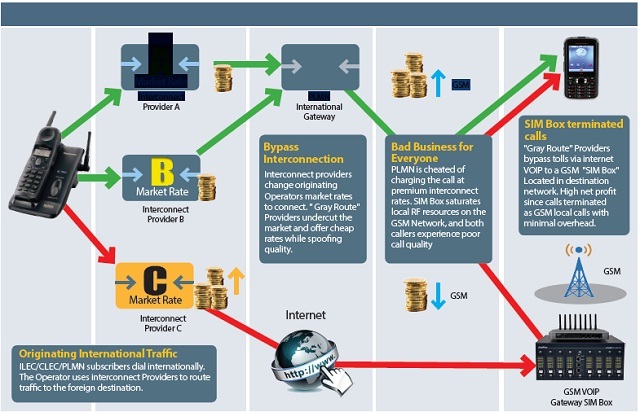 The major driving factors for the service provider one opts for according to the study is affordability, strong and clear signal and a variety of channels. Provided by the Uganda Communication Commission, the free to air decoders go for about sh90,000. With this one does not have to pay the monthly subscription as is the case with Pay TV decoders. However, as explained by Edson Musana of MK Muhumbu Importers, one of the authorised distributors of the free to air decoders, the quality of this service is still lacking. “The signal strength is still poor, but it also does not have the favoured content such as soccer and Nigerian movie channels,” Musana explained. He, however, argued that people need to be sensitised on the long term implication of the having a free to air decoder, especially for the low income communities. “You don’t want to wake up one day with a decoder and yet you cannot pay for subscription,” he said. The study also established that out of the 1,219 households surveyed, almost 98% had decoders with Wakiso having 100% coverage. Bukedde TV one of the Vision Group’s platforms still soared as the most watched television in the region at 84% in Mukono, 75% in Wakiso and 62% in Kampala. Even with the variety of channels as a result of digital migration, local channels still remain as the most popular channels in the surveyed households. Though Ugandans have embraced digital migration, the study reveals that one of the major complaints is the costs involved. This is mainly on purchasing the decoders and the monthly subscription.